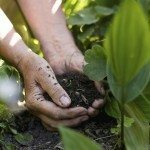 Where can I have my soil analyzed? I have crepe myrtles trees that aren't blooming. I live in southeastern Florida. Your local extension office will do this for you. Extension services are normally run out of your local university with a horticultural program or through a local Master Gardener program. They will typically do soil tests for free or low cost. There are also soil testing kits available at most garden supply stores.